This app has been specifically designed for employees of any Healthcare Australia brand. It has a variety of information and services to help you communicate and connect with HCA. eHCA will allow you to update your availability, confirm and view allocated shifts, update preferences, view your payslips and much more. 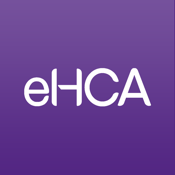 The eHCA app now provides two brand new ways to submit your timesheet. If available, simply ask your supervisor to authorise your shift directly within the app, no paper required at all! Alternatively, take a photo of your authorised paper timesheet and submit it directly within the app. Say goodbye to having to drop off, post, email, or fax your timesheets. For added convenience you can also tell us when you want to be paid. In addition, all this functionality is fully integrated in real-time with our scheduling system, meaning the information you are viewing and updating is always up to date.